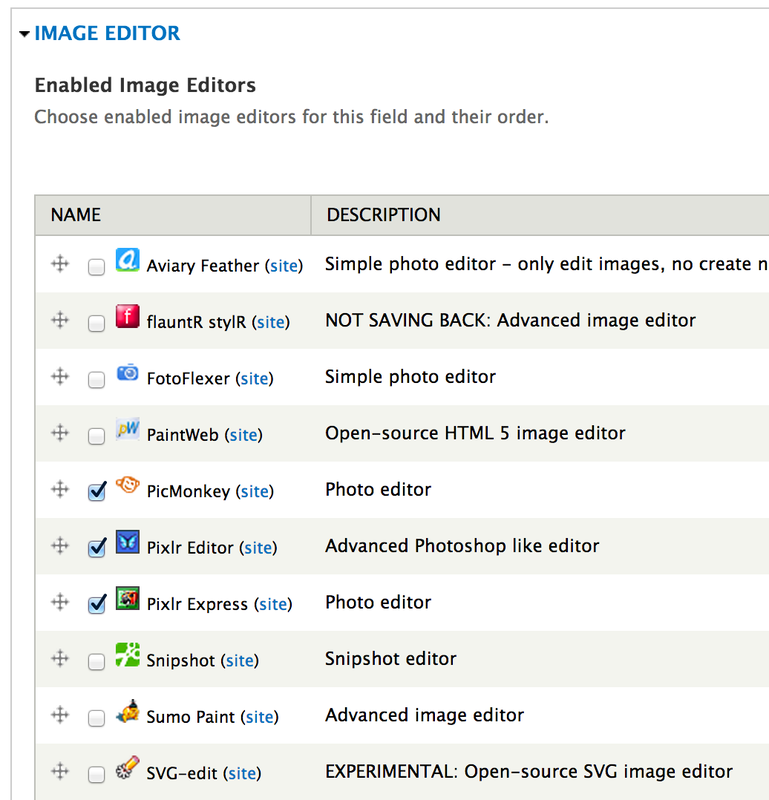 The Image Editor module allows editors to modify or create images directly from a Drupal site. For example, an editor uploads an image into an image field, they edit the image using a 3rd party web-based image editor. Then the modified image is uploaded back to their server and attached to the original field.